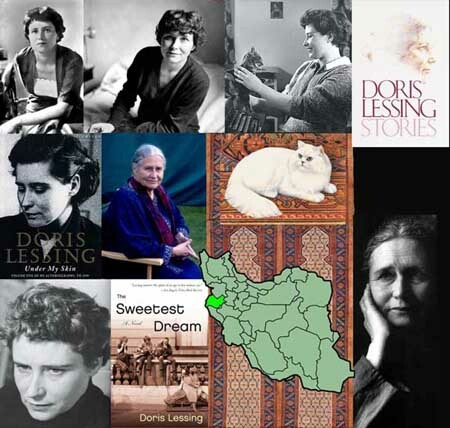 Canopus in Argos: Archives is a sequence of five science fiction novels by Nobel Prize in Literature-winning author Doris Lessing which portray a number of societies at different stages of development, over a great period of time. The focus is on accelerated evolution being aided by advanced species for less advanced species and societies. Shikasta (1979) – A secret history of Earth from the perspective of the advanced Canopus civilization that is thinking in eons rather than centuries. The history spans from the very beginning of life into our own future. The book ends with a metaphorical telling of the trial of Socrates. The Marriages Between Zones Three, Four and Five (1980) – Depicts the influence of unknown higher powers on interactions between a series of civilizational "zones" of varying degrees of advancement that encircle the planet Earth. One zone is representative of an overtly feminine high civilization initially coupled by royal marriage to a militant and male civilization. The novel culminates with the latter, male, civilization allying with a tribal female realm again due to directives from Canopus. 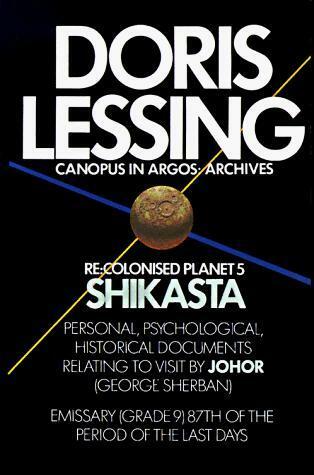 The Sirian Experiments (1980) – Focuses, like Shikasta, on the history of Earth, but from the perspective of visitors from Sirius rather than Canopus. The Sirians are depicted as a highly managed society with fascist overtones, that attempt experiments on lesser civilizations while trying to mitigate the stagnation of their ruling class. The story is told from the perspective of Ambien II, one of a peer group of five who rule Sirius. 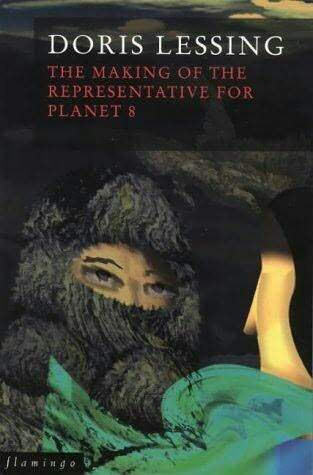 The Making of the Representative for Planet 8 (1982) – The story of the civilization on a planet that, due to interstellar "re-alignments", is slowly facing extinction, and Canopus's relationship with them. The story is greatly influenced by Robert Falcon Scott's Antarctic expedition, and is Lessing's homage to it. 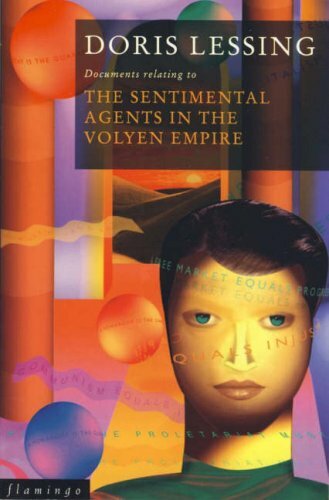 The Sentimental Agents in the Volyen Empire (1983) – A story of Canopean agents on a less advanced planet; explores hazards of rhetoric and mirrors events in revolutionary societies such as Communist Russia. I can not judge because I have not been able to read even the first one, so I have not dared to open any of the other four. I'm giving you my view, though: a serious piece of bore! She can explore sociological possibilities as long as she pleases but, for the love of Odin, is it necessary to exhaust readers with endless speculations and timorous good intentions? You're a pair of cynics. These five novels are difficult reading but well worth the effort as Lessing depicts masterfully the treachery of mankind. They are thought-provoking and often beautiful, sometimes absorbing, always brilliant.